Walter Kieser is a Senior Principal and a founder of Economic & Planning Systems, Inc. During his 40-year career, he has worked for diverse public- and private-sector clients on projects ranging from land use planning and regulation, land and resource conservation, master planned development, major infrastructure financing, and government reorganization. Mr. Kieser has focused on providing sound economic and fiscal analysis, creating implementing agreements and financing programs, and supporting public-private negotiations and real estate transactions. Mr. Kieser has a BA degree in Biology and Environmental Studies from Sonoma State University and did graduate studies at University of California, Berkeley. 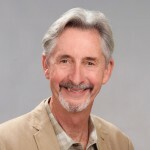 He began his professional career in 1973 as an associate planner in Sonoma County, California.